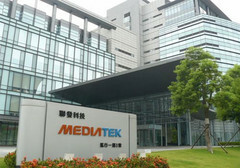 A MediaTek executive has, in an interview, revealed the company's plans for the future, with the Taiwanese manufacturers set to take a break from manufacturing flagship SoCs for a while, in favor of killer mid-range chipsets. MediaTek's recent troubles are well-known, with the Taiwanese manufacturers suffering from a massive drop in market share over the past year—a drop from 25% to 15%; Qualcomm's dominance being a major factor. The company released its flagship SoC, the Helio X30, midway through the year, after months of issues with production. The SoC, however, has been a massive failure, as it has only seen real-life usage on the Meizu Pro 7. Another device, the Elephone X8 Lite was also supposed to be powered by the X30 but there's been no word of it for months, which may be the greatest indication of the X30's failure. MediaTek, however, look to be willing to make amends for their mistakes, with the company set to take a break from producing SoCs in the top-tier of the market. "The chipset and the modem has got to be able to meet the high-end modem requirements for US, European, Chinese, Japanese, Korean, African, Indian carriers, right? So it tends to need the latest and greatest modem specs. The X30 was probably not at that level… in terms of all of the global requirements, but we knew that, right?" MediaTek's GM for international sales, Finbarr Moynihan, said in an interview with Gearburn. He went on to add that MediaTek has found getting partnerships on their flagship SoCs difficult, as most Chinese OEMs preferred mid-range chipsets. “So probably the X30 was too high for some of that and didn’t deliver on some of the global modem stuff to make it applicable in that space. So that’s why we’ve kind of retrenched a little bit and focused more on… the Helio P, the new premium. I think what you’ll see though is you’ll see us continue to push up from where we are today. How we brand it, to be honest, we haven’t decided. But probably, aiming for the bleeding edge of this stuff, probably not in the next year or two." The company is billed to launch its Helio P40 next year and that promises to be worth looking forward to, as it's supposed to compete with the Snapdragon 660, while costing significantly less.